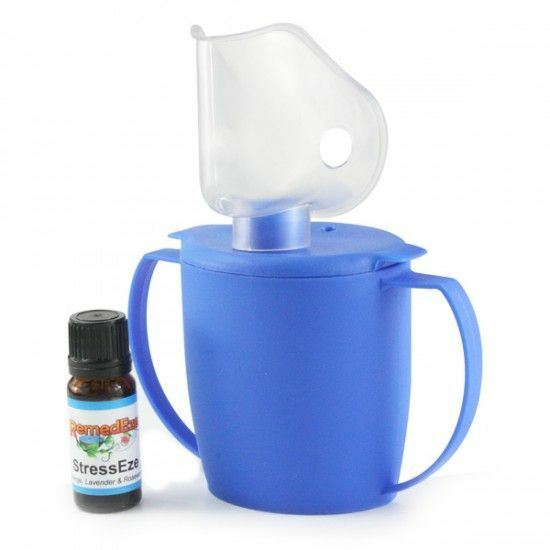 Help promote relaxation and, in turn, counteract the negative effects of stress and tension with the safe and easy-to-use Steam Inhaler with StressEze aromatherapy oil. Help promote relaxation and, in turn, counteract the negative effects of stress and tension with the safe and easy-to-use Steam Inhaler with StressEze. StressEze is an ideal mix of 3 essential oils which are reputed to have connections with both the psychological as well as the physical effects of stress. Great for sufferers of stress which includes anxiety, exhaustion, frustration, despair, overwork, confusion, mourning and fear.